Apparently, not everyone wants a typical active great college life. For people like me, all we need is sleep peace, funny stories and memes mental joy, and some “private time”. I am not the material to be famous, so I know the best way to have my first year easily forgot. Spend your time with them, dive into the ocean of internet, and enjoy all the jokes and memes in it. 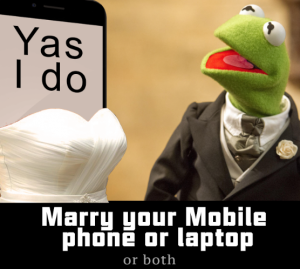 Date with your laptop, and party with your mobile phone. Like your friends’ posts in which they dance, hike, and have fun. You don’t even need to move your body to see the world, and a day passes. You don’t need to suffer the interviews, group projects, and social activities either. What else could be better! Don’t sleep in classroom! Don’t sleep in your discussion! Those chairs are not comfortable. Stay in your bed with your beloved pillow. Grades are merely letters, and saint people like us are not material, so scholarship doesn’t matter. Just sleep and cuddle with our mobile phone. The key to this amazing lifestyle is to stay immobile. Order a pizza delivery with a 2L soda, and love your phone, computer, and bed. Your first year in Madison or anywhere will have the least story to remember. But if you are NOT one of us, don’t steal my phone and bed. Go out and make some good stories to post that I can like on my bed. Leo cheers.GIF: Clips from The Great Gatsby (2013). 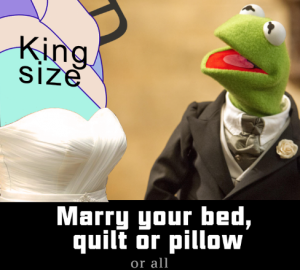 Materials of the memes are from the internet, Kermit from “Muppets Most Wanted” (Jay Maidment/ Disney).